I have a huge fondness for anti-heroes and the stories they're centered in. Something about the good guy not really being a "good" guy is abundantly compelling, especially since they often find themselves in situations that are black as jet, often accompanied by copious amounts of violence, blood, and death. So it's no wonder I have a deep fondness for the John Cleaver series by Dan Wells. 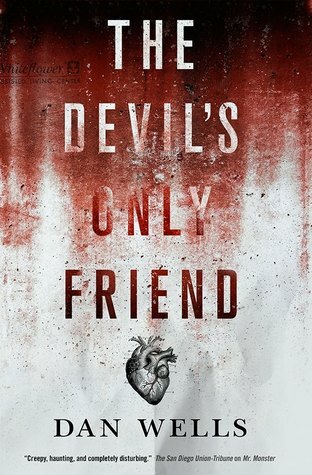 The fourth book in the series, The Devil's Only Friend, brings back everything I loved about the books to begin with– an intriguing story, tense situations, terrifying monsters, unexpected twists, fascinating mythology, and a main character who simultaneously captures your attention, and makes you want to run as far away from him as you can. This is truly masterful storytelling right here. I've been waiting for a new John Cleaver book for a long time, and this one was worth said wait. Great color usage, and the heart is perfect for the story. You'll know if this book is for you the moment you begin the first chapter, where seventeen year old John Cleaver tells us how he's "good now," describing all the steps he's taking to battle the monster inside him, before finishing by saying how he will sometimes go to the butcher shop, buy a slab of meat, and hack it to pieces. Definitely the kind of opening that will grab your attention, though if you're familiar with the other books (which should be read beforehand so you can fully appreciate this novel), it won't come as a surprise. From there, we go on to seeing how John interacts with the members of his covert, government-funded demon killing team. Which is to say, not well. It isn't just because John is about as friendly as an aggravated scorpion, but because the members of his team aren't exactly going to win any Friendliness Awards any time soon. As if John doesn't have enough to deal with, there is the complication of Brooke, John's one-time obsession and now the only person left alive from his previous life, who is suffering a serious split personality disorder from her possession. So of course, this is the time when a bunch of demons arrive in town to cause severe amounts of trouble in truly sadistic ways. And, in typical John fashion, he refuses to sit on the sidelines and let the others do the killing for him– not when he's so eager to do it himself. I wouldn't call this an action-heavy book. Oh, there are certainly some battles and nobody walks away unscathed, but what held my attention was the complexity of the demons, and John's mind. The demons, called Withered, are unlike most demons featured in fiction. Make no mistake– they're as ruthless as any monster you can think up– but we're given more of an insight into their history and origin through John's interactions with one of them. Each demon has his or her own motives and reasons to live (if you can call it that), and they have more to them than single minded depravity. John's mind is of course the strongest element of the story. He's the definition of a paradox– one moment he's calm and in control, then next he's about to collapse and let his inner monster out for some bloodshed. The John Cleaver in The Devil's Only Friend isn't the same one as the one in the previous novels. Now John has felt emotion– he's loved. It could be because I really am a hopeless romantic, but some of my favorite moments were when John was thinking about or referring to his dead girlfriend, Marci. It's a little bit heartbreaking to hear John describe how close he came to feeling something wonderful, only to have it ripped away from him and leave him empty again. 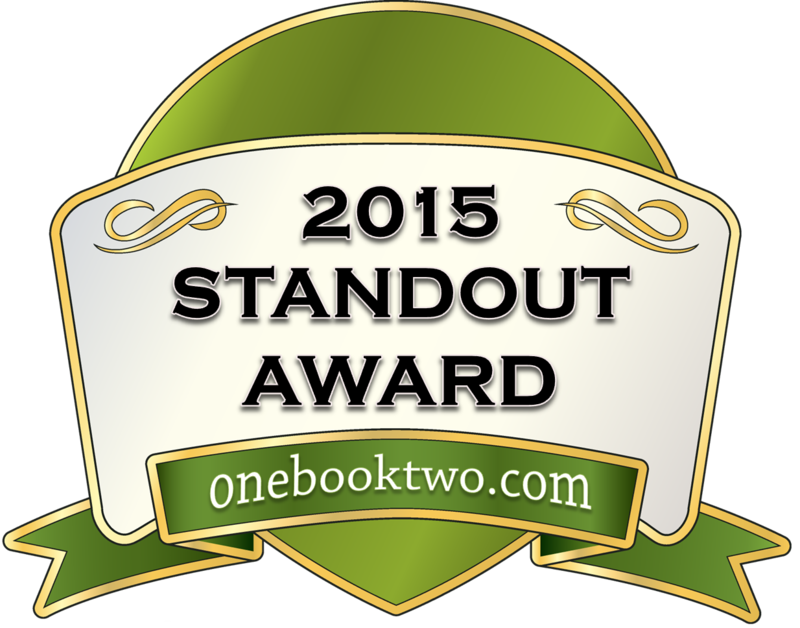 The characters, plot twists, and descriptions were vivid and exciting. I was honestly guessing until the very end, and I some of the scenes actually had my jaw dropping. This isn't the book for the faint of heart. It's not overtly gory (though there are some truly horrible visuals described by Wells), but there's a psychological element that will pick at your mind like a vulture picking at a corpse. That being said, I would recommend this book to any and all lovers of horror, both supernatural and psychological, and anyone who has a fondness for anti-heroes. Fans of the Dexter novels and television show will definitely find something to enjoy here. I honestly have no complaints about the book. I was never bored, and sincerely hope there are more following this one. It left on a suggestive note that there could be, and despite all I've learned about him, I know there are more layers to John Cleaver. I'm both interested– and a little terrified– to find out what those layers will reveal.